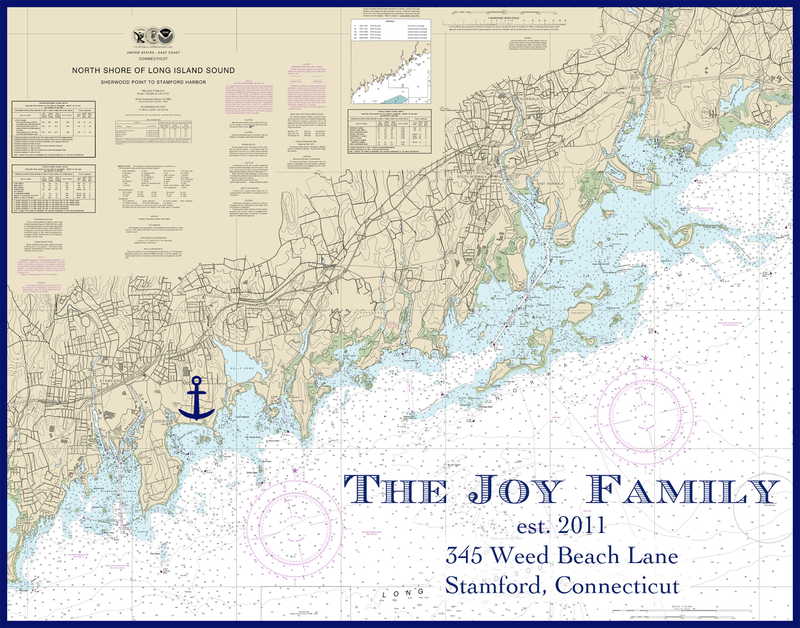 I'm SO excited to share the newest addition to Pure Joy Paperie, these customized nautical chart maps! I LOVE the look of nautical charts, especially when they're blown up BIG and framed on the wall. Our charts come personalized with an anchor over the exact location of your home with your family's name, established date, and address on the corner.